2.5l cans £9.99 each or any 2 for £16. Touch dry in 1 - 2 hours, anti slip and fade resistant too. I would not want it for £5 per tin. Used last year by the end of season on my decking and my decking today looks like I have never painted it. So big cold from me. Price is ok but poor quality. I covered my decking in this last summer and there are worn out patches already, and we have hardly been in the garden between winter and now! 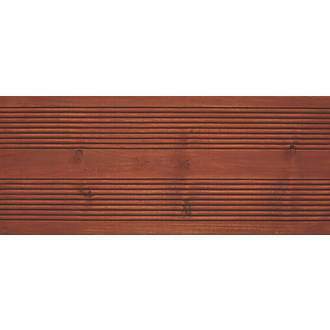 You should stain your deck as a last resort. Always oil it. I would not want it for £5 per tin. Used last year by the end of season on …I would not want it for £5 per tin. Used last year by the end of season on my decking and my decking today looks like I have never painted it. So big cold from me. Price is ok but poor quality. Payed £19.98 for 2 tins , 2 weeks ago, not used it yet. How do you know if it's any good? I thought u posted this deal, and it says iv used it so i said thankyou. If u didnt post the deal sorry, so whoever posted it thanks. I am looking at getting some also, so just doing my research. Can you recommend any good oils for a small balcony 4m x 2m, on a budget? How often and frequent do I need to oil? That tells me nothing about the quality. I've bought other decking oil on say-so and it's not been good. That tells me nothing about the quality. 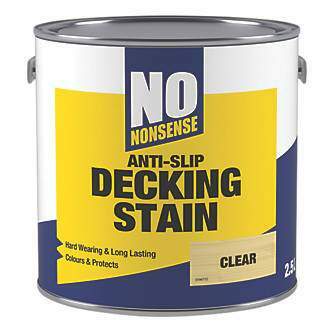 I've bought other decking oil on …That tells me nothing about the quality. 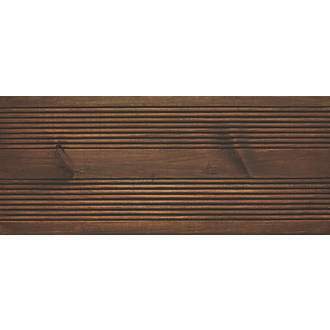 I've bought other decking oil on say-so and it's not been good.What makes this different/better? Not on a budget no. Liberon decking oil is what i use but its not cheap. 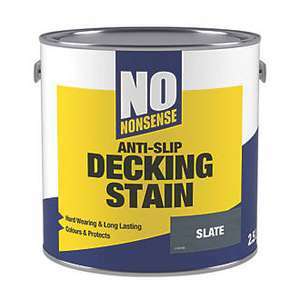 I have four large decking areas and used twenty+ cans of this last year. Be aware that saying it's a "stain" is misleading. It's more like a paint, hence the antislip. 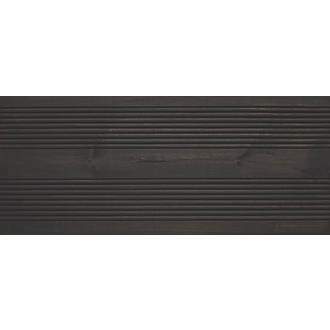 The best thing to do is actually oil decking in most cases, but I wanted a dark and painted look. My mistake. Deck 1 - Side of house. Sheltered from elements. Perfect. Looking good a year on. After I jet washed, it still had some green algae, but I've treated that and refreshed the area with a light coat. Deck2 - Upper deck with minimal foot traffic. Back of house. Just table and chairs. Needed a jet wash, algae spray, light retouch. Deck3 - Lower deck with medium foot traffic and a garden swing. Has peeled in quite a few places. Not the end of the world, just needs some attention and refreshing. Deck 4 - Middle deck. Absolute nightmare. Peeled off all over. Looked terrible after just a couple of months. 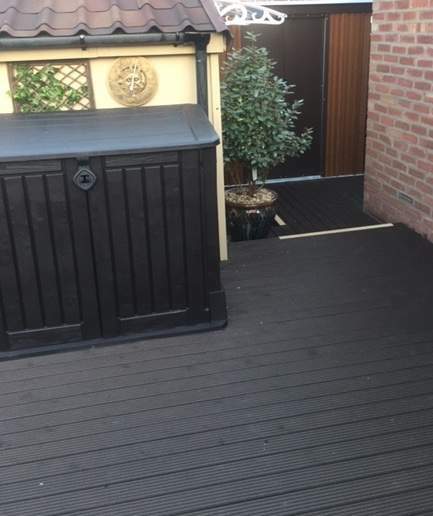 Contacted manufacturer and they told me it was due to the decking being damp/wet when I painted it. Not true. 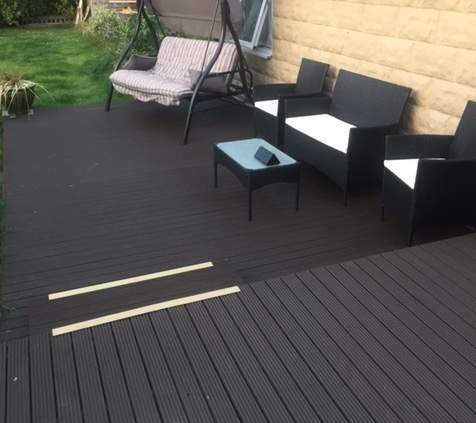 All decking was delivered at the same time and in the same condition. Built it during last year's very hot summer. 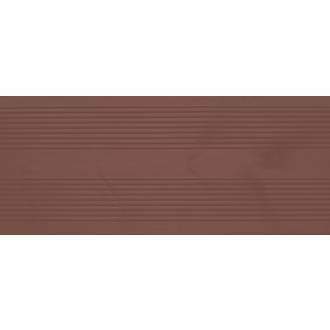 It seems that the deck is more prone/exposed to rain and that combined with foot traffic just lifts the stain/paint off in large strips. Lighter coats had the same effect. So, had to strip the whole lot, wasting £££ which made a huge mess of stringing acrylic paint that was hard to clean up. So, now I'm staining this with normal fence stain below and decking stain (IT'S PAINT!) over the top to see if that combats the water lifting it during the winter. Not much rain/standing water will tear this paint right off. 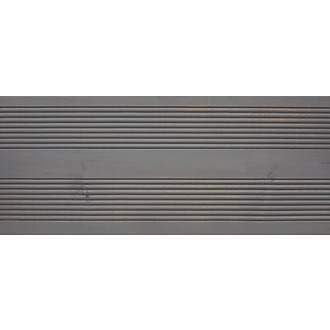 So, make sure your decking has the standard incline for water runoff. I now wish I'd made mine steeper. Absolutely perfect review. Exactly what I was looking for. Thank you for taking the time to post. I do get a bit tired of the 'does what it says on the tin reviews'. It tells me nothing. This however is much better. It has informed me to NOT buy it. 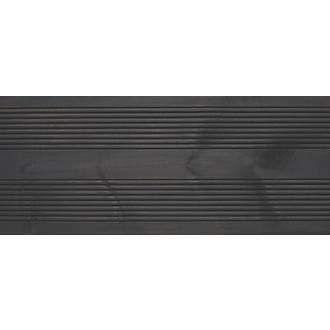 I'll be using a thin oil on mine and use a rubber mat over winter. Absolutely perfect review. Exactly what I was looking for. Thank you for …Absolutely perfect review. Exactly what I was looking for. Thank you for taking the time to post.I do get a bit tired of the 'does what it says on the tin reviews'. It tells me nothing.This however is much better. It has informed me to NOT buy it. I'll be using a thin oil on mine and use a rubber mat over winter.Thanks again! Yeah, in hindsight I'd definitely use oil. Live and learn. Refresh yearly and you're golden. The takeaway lesson in my case was "If it's fairly sheltered, works great. Exposed to a lot of rain? Forget it." In my opinion, it should not be marketed as a stain. It's not a stain. That's a lie. It's an acrylic paint. Pants.... 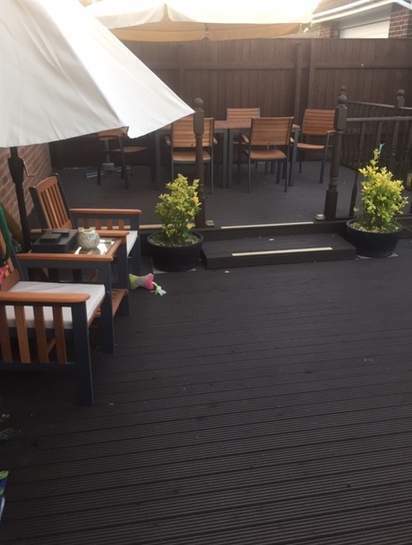 I bought some painted on fresh new decking late summer last year, its all lifted and worn off! Buy something more expensive, screwfix branded stuff is normally tat.